Rajkumari Novel by Karam Hussain Shah Rahi. 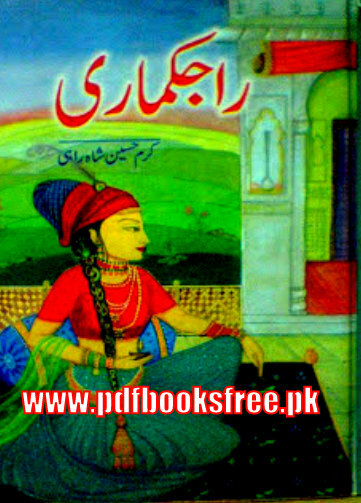 Rajkumari is an excellent epic Historic novel in Urdu language. The novel contains the story of a blood shake battle which was fought between the King of Assam Raja Krishan Kumar and Ali Quli Khan the Muslim King of Bengal. The novel additionally narrates the story of such a brave virgin dev dasi named Vimla Devi who raised the voice against the cruelty and injustice of Hindu Pandit. The novel also contains story of a Rajkumari ChandraKant the daughter of Raja Krishan Kumar how was hunting by several traitors for the throne. Later on Ali Quli Khan was declared her his daughter and gave her peace in his territory. readers will find this story amusing and informative. The novel divided into five volumes and you can read online or download each volume of this novel in Pdf format by visiting the following links. Shivdevta aur nirmala ka kirdar achcha hai,haqiqat kirdaro ke ashko me dubi hui hai,badshah se lekar ghulam har koi roti surat nazar aata hai,baqaule ghalib. Baithe hai hm tahiyyae tufan kiye hue. Climax me sultan aur nirmala ka zikar nhi hai,. Inshort histry novel nhi hai ,koshish achchi hai,story me asam ki fateh me badsha ka aur fauj ka koi kirdar nazar nhi aata,ye fateh asan nhi thi. Time pass novel hai sirf.